Online betting fans with an affection for Apple products can now use their iOS device to top-up their online accounts. Apple Pay is fast becoming a popular payment method among top online bookmakers, which is why the Bonus-Codes.com team have gathered all the information you need in relation to Apple Pay betting sites and promo codes. This review focuses on how Apple Pay functions as a payment method and what is required for you to top-up your online betting account. We also hone in on the latest and greatest bonus codes currently on offer in the world of online sports and casino betting. Keep reading to see what we found. Before we jump into the nitty-gritty of Apple Pay as a payment method, we thought you might want to check out the selection of bonus codes we found for Apple Pay betting sites. The list below contains all the Apple Pay betting site promotions currently on offer. If you are already familiar with Apple Pay and want to claim a betting bonus, just click on one of the ‘Use Bonus Code’ links below. If you want to read our comprehensive bonus code reviews, click on the bookie logo. Want to find out more regarding Apple Pay and how it works? Keep on reading this page. Apple Pay is a relatively new payment method for online sports and casino betting customers in the United Kingdom. An increasing number of online bookies are embracing Apple Pay as a payment method, and most major U.K. banks are now supporting the use of Apple Pay. Apple Pay is an electronic wallet that allows you to store the information of up to 12 credit/debit cards on your Apple device. Compared to a credit or debit card, Apple Pay provides users with two extra layers of security. Firstly, the process of disclosing your credit/debit card details to multiple online betting sites is eliminated. Secondly, each Apple Pay online transaction requires verification via a fingerprint or photo recognition process. The Apple organisation is a world-leading innovator when it comes to technological product development, which has led to the omnipresence of the Apple logo in social and technological environments around the globe. People from all walks of life seem to have an iPhone, iPad or MacBook and if you own one, you can use it to top-up your online betting account. If you want to find out which models are compatible, read the next couple of sections. Does Apple Pay Offer Other Options? As mentioned previously, Apple is committed to product development and their Apple Pay product is no exception. Customers can use Apple Pay in a variety of payment environments. Apple Pay can be used as a contactless payment method for person-to-person transactions in stores and restaurants. Providing the merchant has a contactless point-of-sale terminal, you can use your Apple device to pay for goods and services in a ‘tap-and-go’ fashion. If you want to shop online, a vast selection of the worlds biggest online sites accepts Apple Pay as a payment method, including eBay and Ticketmaster. Apple Pay also allows customers to make in-app purchases for iOS applications. How Do I Add a Credit or Debit Card to Apple Pay? If you want to take advantage of the convenience and security offered by Apple Pay betting sites, you must own, or have access to; an iPhone 6 or newer version; an iPad Air 2 or newer version; or a MacBook with the ‘Touch ID’ feature available. Once you get your hands on a compatible device, check that your bank supports Apple Pay, then follow the steps below to add a credit or debit card. Open the ‘Wallet App’ on your iPhone or iPad and select the ‘+’ icon in the top right corner of your screen. Hit the ‘Next’ button on the Apple Pay screen. Use your camera to scan your credit or debit card, or enter the details manually, then hit ‘Next’. Enter your cards’ expiration date and security code, then hit ‘Next’. Select your preferred verification method. Enter your verification code and you’re ready to use Apple Pay to top up your online betting account. Open System Preferences and select the ‘Wallet & Apple Pay’ icon. Click on the ‘+’ button to add a new credit or debit card. Position your card in view of the webcam on your MacBook, or you can enter the details manually. Your bank will contact you to verify. You’re ready to deposit using Apple Pay on your MacBook. Now that your device is set up, you’re ready to deposit with Apple Pay and claim your bonus. Read the next section to find out how to deposit funds to your online betting account. How Do I Deposit at Apple Pay Betting Sites? Click on the ‘Use Bonus Code’ link provided in the list of online bookies above. You will be redirected to the site of your chosen betting site. Create an account by registering your details and choose Apple Pay as your preferred payment method. Enter your deposit amount and authorise the payment using Touch I.D. or facial recognition. You will receive a notification confirming the deposit amount and transaction I.D. New and existing customers can claim online sports and casino betting bonuses using their Apple device. Offers customers an extremely safe method for topping up their betting balance. Speeds up the process of registering by removing the necessity of entering card details on multiple betting sites. Deposits arrive in your betting account instantly. There are no transaction fees charged by Apple. You must own a compatible Apple device, which is quite expensive. The number of online bookies that accept Apple Pay isn’t huge, although it is growing. Funds cannot be withdrawn using Apple Pay. More on this in the next section. 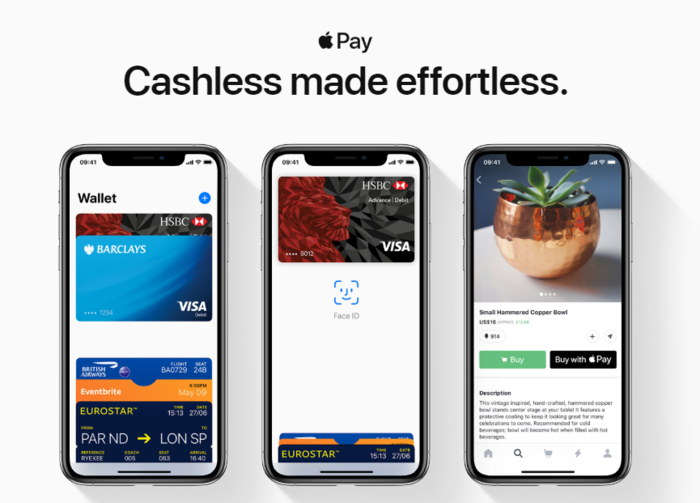 Can I Withdraw with Apple Pay? It is not possible to make withdrawals on Apple Pay betting sites. Customers should contact the customer service department of their online bookie to arrange an alternative withdrawal payment method. Although customers cannot currently withdraw funds to their Apple device, this is likely to change if Apples’ track record is anything to go by. They strive to develop products that meet the needs of all their customers, so watch this space. If there are any further developments, we will let you know. Due to the fact that Apple Pay is a relative newcomer on the U.K. financial services scene, the number of Apple Pay betting site bonus codes isn’t huge, but we assure you it certainly is growing. We did manage to find a few, and we have listed them above in the ‘Best Bonus Codes for Apple Pay Betting Sites’ section. Just click on the ‘Use Bonus Code’ link and you can claim your bonus. The Bonus-Codes.com experts have picked out their top three Apple Pay betting sites. They offer the best value promotions for new and existing customers. The next section provides a list of our experts’ top-three picks. NetEnt is a popular gaming software platform in the world of online casino. Every bookie listed in our ‘Best Bonus Codes for Apple Pay Betting Sites’ section offers NetEnt games to customers. With a return-to-player percentage (RTP) of 96.1% and a potential jackpot of 50,000 coins, it’s no surprise that Starburst is a popular casino game among fans of virtual slots. Sportingbet is offering new customers 50 free spins on this NetEnt game if you sign-up and deposit £10 using Apple Pay. 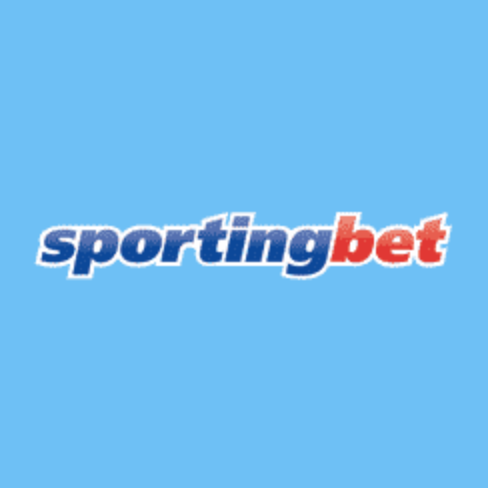 You can claim this bonus by clicking on the Sportingbet icon above. 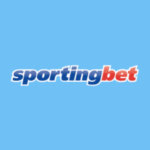 This will take you to our ‘Sportingbet Promo Code’ review page. From there, just click on the ‘Use Bonus Code’ link and claim your free spins. Along with NetEnt, Microgaming software is a common gaming platform among online casino betting sites in the U.K. Players can try their luck on an extensive range of virtual slot machines and are always in with a chance of hitting the jackpot. For those of you on the hunt for an online casino welcome bonus, you can set your sights on the promotion spotted by our team at Bonus-Codes.com. New bwin customers can claim a matched deposit of up to £200 if they open an online casino account and make a minimum first deposit of £10 using Apple Pay. You can claim this offer by scrolling up and clicking on the ‘Use Bonus Code’ link beside the bwin logo. 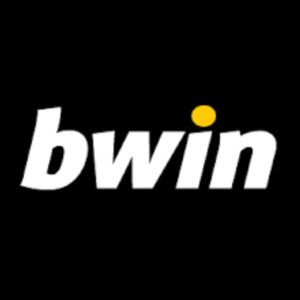 If you want to know more about bwin promotions, and many others, you can visit our ‘Betting Bonus Codes’ review page. Are there Bespoke Apple Pay Bonus Codes Available? Apple Pay is a highly secure and convenient method for topping up your online sports and casino betting site balance. Although we couldn’t locate any specific Apple Pay bonus codes, we do have a huge selection of betting bonuses available on our ‘Betting Bonus Codes’ review page. If any online sports or casino bookmakers do decide to run any bespoke Apple Pay promotions, we will be sure to let you know! Should you Trust Apple Pay Betting Sites and Casinos? Considering Apple Pay is a service provided by Apple, a company that generated a revenue of over 265 billion dollars in 2018, it seems that the whole world trusts Apple products and services. Specialising in technological development, the cutting-edge electronic devices produced by Apple are fortified with several layers of impenetrable security features. For these reasons, the Bonus-Codes.com team are going to agree with the rest of the world and give Apple Pay the thumbs up regarding trustworthiness. The secure process of using Apple Pay as a payment method means you don’t have to worry about disclosing any personal financial details to online betting sites. Your card details are safe and locked away in Apples’ secure servers. Are there Fees Associated with Apple Pay Vouchers? Apple Pay users are not currently charged any fees by Apple to top-up their online betting site account. Any fees charged by your bank for using credit or debit cards still apply. It should also be noted that online betting account withdrawals cannot currently be made using Apple Pay. Apple Pay is a payment method that is specifically designed for iPhone and iPad users, so if your chosen online bookmaker has an option to deposit via Apple Pay, it’s almost guaranteed that they have either a native mobile betting app or mobile Web app available. 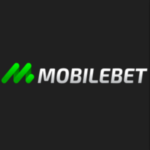 Many of the betting sites we review offer ongoing mobile-specific betting promotions, and as usual, the Bonus-Codes.com team have picked one out just for you. 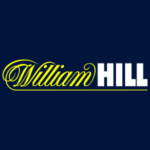 If you’re tired of searching for bigger odds, William Hill has a double ‘Bet Boost’ for mobile users only. The first is a ‘Daily Bet Boost’, where sports fans can increase the odds on one bet per day if the stake is £200 or less. The second is an ‘ITV Bet Boost’, where punters can increase the odds of one selection in every live horse race shown on ITV. 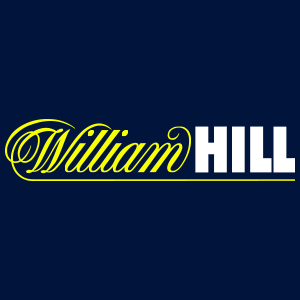 Check out our William Hill bonus code review for full details. Are there any Apple Pay Alternatives for Betting Sites? Most online sports and casino betting sites have a wide range of deposit and withdrawal options available for their customers. Some of the payment methods include credit/debit cards, e-wallets, bank transfers, and cash vouchers. If you don’t have access to an iPhone, iPad or MacBook, you can use your debit/credit card as a direct replacement for Apple Pay. The advantage offered by debit/credit cards over Apple Pay is that you are able to withdraw your winnings using your card. The disadvantage is the reduced security compared to Apple Pay. What are the Maximum Deposits you can make using Apple Pay? There is no maximum limit for customers using Apple Pay to deposit funds for online betting. Each individual online bookmaker usually provides the maximum deposit amount in their ‘help’ section. If you are looking for the deposit limits of different Apple Pay betting sites, check our in-depth betting site reviews. Can I Withdraw my Winnings with Apple Pay? You currently cannot use Apple Pay to withdraw directly from your account. This is likely to change in the future though. You can withdraw using other payment methods such as credit/debit cards or e-wallets. If these methods do not suit, contact your bookies’ customer service department to arrange an alternative method of withdrawal. How do I Use Apple Pay Betting Sites? The first thing you need to use Apple Pay is a compatible Apple device. Once you have access to one of these devices, you need to add a credit/debit card to Apple Pay. Apple Pay is located in the Wallet App on your iPhone, iPad or MacBook. As soon as you have added a credit/debit card, choose an Apple Pay online betting site from the list in our ‘Best Bonus Codes for Apple Pay Betting Sites’ section above and click on ‘Use Bonus Code’. Sign up, choose Apple Pay as your payment method and deposit.